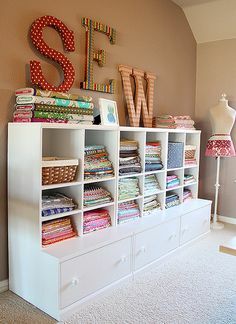 Not all of us have massive rooms available to devote solely to our crafting adventures, so for those of you with smaller rooms, Katie at Sew Woodsy has the perfect plan. 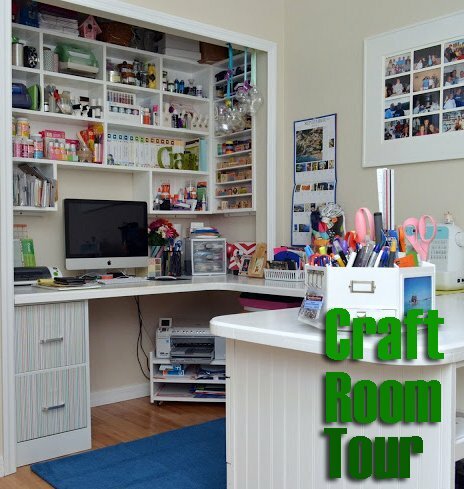 Check out her Craft Room Tour. She was able to maximize her square footage to the fullest extent. 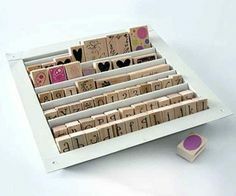 Have your pen and paper ready to take notes! 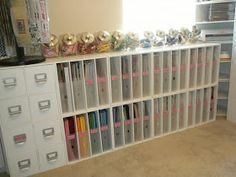 – Her floor to ceiling space use is perfect to take up less floor space. Granted, if it were my space I would need a huge step ladder. – Even though her room isn’t huge, she still managed to add in a cozy corner chair. 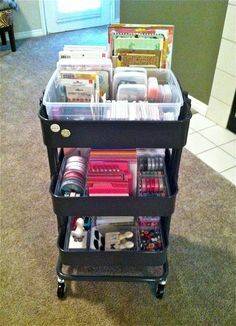 – The L-shaped desk gives plenty of workspace to have multiple supplies or projects out at once. 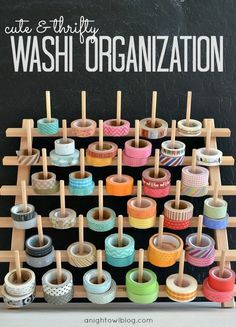 – I love that her supplies are so organized and even sorted by color. My favorite thing about the room is that she maximized her workspace by using her closet as the hub of the room. Often, our supplies only get lost or hidden in dark closets. 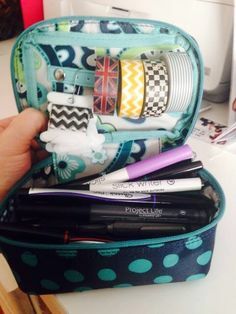 This way, her supplies are visible all the time.